Perovskite solar cells are becoming major players in the field of photovoltaics. The efficiency of these cells has increased to more than twice of their initial levels in less than a decade. The current rate of more than 22% is an extraordinary outcome in the field of renewable energy. The cells are named after the material ‘perovskite’ that is used in the cells to harvest light. These cells are relatively inexpensive, more flexible and lighter when compared to the conventionally used crystalline silicon-based cells. After their fabrication, perovskite cells are generally kept in the exposure of ambient air for a number of hours. The process maximizes the efficiency of the cells. The reason behind this increased efficiency is yet to be found. A team of scientists from the Energy Materials and Surface Sciences Unit (EMSS) at the Okinawa Institute of Science and Technology Graduate University (OIST) have identified the scientific reason for this procedure. The findings of the researched headed by Professor Yabing Qi has been published in the journal Advanced Materials Interfaces. It’s intriguing: why do we need ambient air to enhance the effectiveness of perovskite solar cells?Which component of the ambient air is linked to this phenomenon? The scientists began to explore the top-most layer of the cells, in an attempt to answer these questions. As ambient air exposure is felt mostly by the top-most layer of the many-layered perovskite solar cells, of which all layers contribute significantly to the cell efficiency, starting with that layer was the logical option. The top layer is the most likely one to have the most exposure to external environment. This layer, which has a dopant to increase its electrical conductivity, is known as the ‘hole transparent layer’. It is known that the dopant of the hole transport layer plays a key role in perovskite solar cells’ performance, but it was not clear how. The researchers exposed the hole transport layer to various environmental gasses such as nitrogen, oxygen and moisture, which is water in a gas state, under controlled conditions. They observed the layer for changes, if any, in its electrical properties, using different methods. The researchers use the structure of the layer, which consists of a number of pinholes to enable gasses to pass between the ambient layer and those underneath it. The dopant in the top-most layer is a salt, Lithium TFSI, which absorbs water because of its hygroscopic nature. The water that the layer absorbs when the cell is exposed to moisture, leads to the redistribution of the dopant. This exposure if prolonged over a long period may have negative effects on the solar cells. 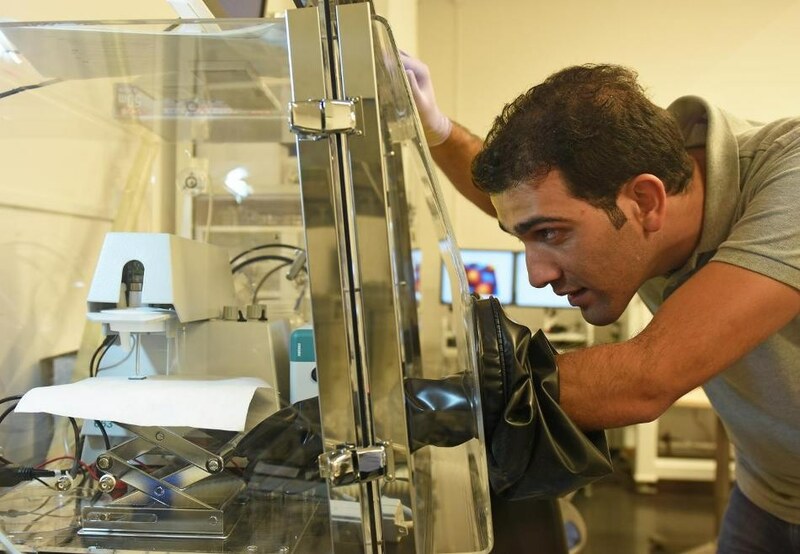 The researchers were able to observe the effect of oxygen on the performance of the solar cells, during the research. Oxygen enhances the electrical conductivity of the transport layer as well, but this effect does not last long, but with the right amount of exposure to moisture, the electric proprieties are irreversibly enhanced. The ideal way to maximize the performance of the solar cells is to expose the device to moisture after fabrication. Paradoxically, water is the important factor required for the effective performance of perovskite solar cells. The results of the research can contribute a lot to the future of perovskite cells. As it provides an explanation to one of the most common procedures, the research has paved the way for more advances in the performance of perovskite solar cells.